High school and college students are bombarded today with mixed media messages of moral relativism. 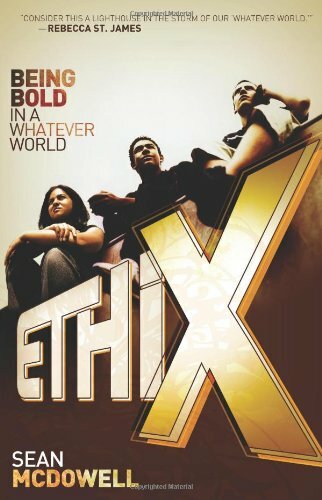 ethiX: Being Bold in a Whatever World helps young adults better understand how to make Bible-informed ethical decisions on the issues of abortion, homosexuality, marriage and divorce, the morality of war, cloning, euthanasia, capital punishment, sexuality, and more. © 2019 Sean McDowell. All Rights Reserved. Created by Rocket Park.